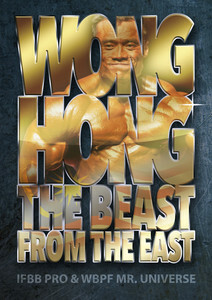 Documentary about professional bodybuilder Wong Hong from Malaysia on his quest to win the World Masters title and WBPF Mr. Universe 100kg. With stage performances and behind the scenes. Wong Hong tells his story, gets sweaty to show you his favorite workout routines, and gives insight into his diet regimens. The DVD also contains special features with a photo slideshow and an unedited comparison round and pose down from the 2011 WBPF World Men's Bodybuilding Championships 100kg.